Yup, that’s “Weird Al” Yankovic filling in for Cuomo, dressed as Cuomo in the “Buddy Holly” video. 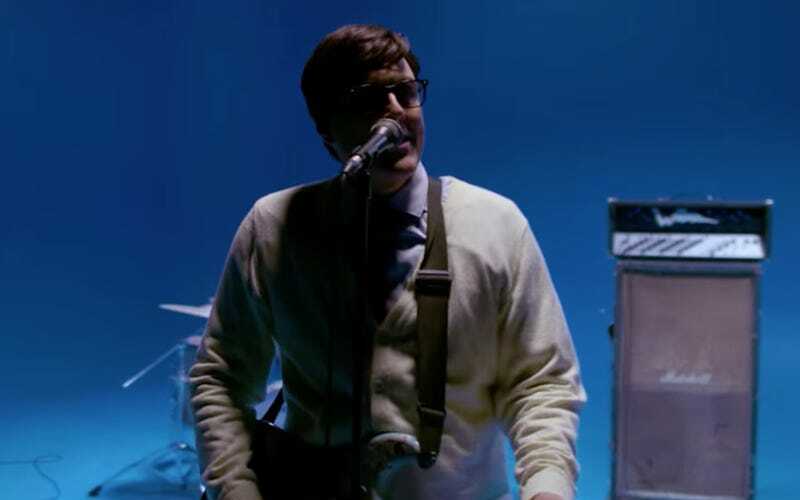 The setup of the video is a nod to “Undone,” which is a little confusing given that the styling of the fake Brian Bell, Patrick Wilson, and Scott Shriner is much more contemporary (Bell’s Interview With The Vampire look emerged post-2013). But Weezer videos don’t really benefit from much thinking, so just let the sweet accordion solo pantomime wash over you.